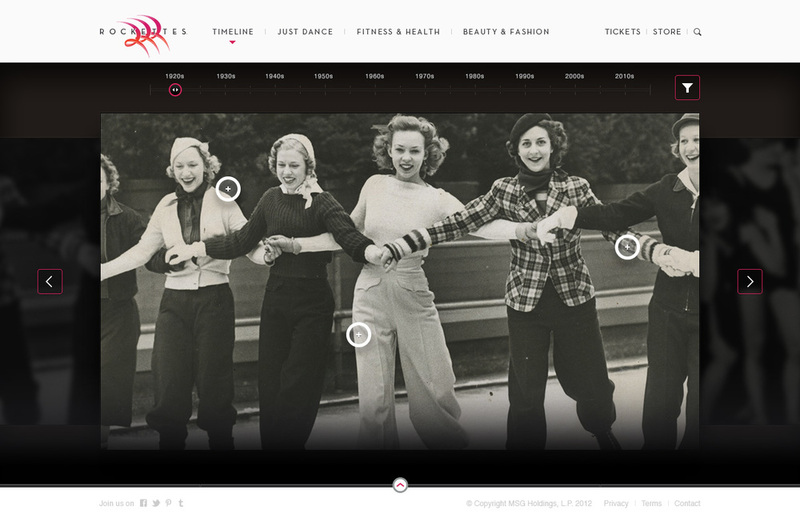 The Rockettes are a storied, iconic brand—performing and inspiring for decades. As with so many historic institutions it's often difficult to maintain consistency and relevance throughout the years—and the Rockettes embraced this challenge head-on. 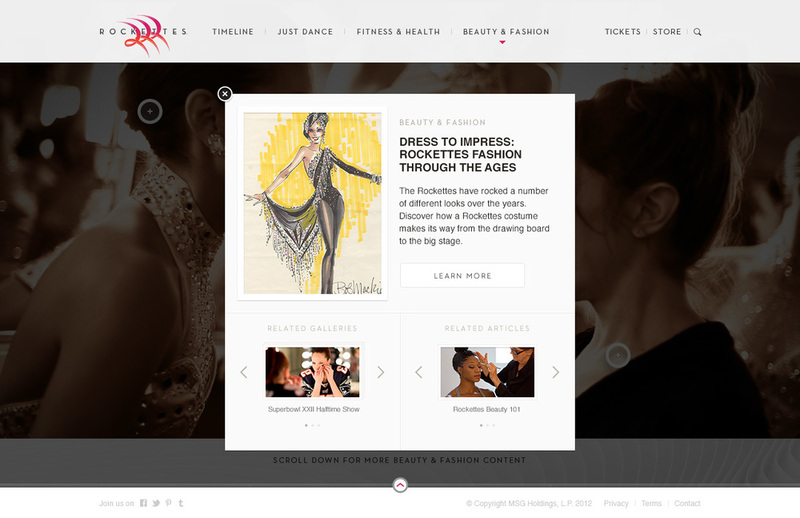 Madison Square Garden partnered with Fi to revitalize and strengthen its digital presence surrounding the Rockettes brand, and aimed to appeal to a wider audience while maintaining its core pillars and values. 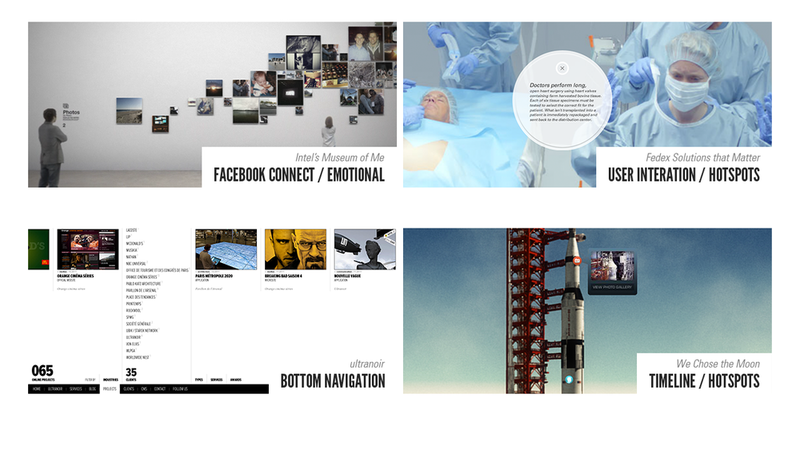 The result was a detailed UX and discovery phase, coupled with an extensive visual revamp. As lead designer I was tasked with exploring a deep visual investigation into the existing brand, and creating proposals for different approaches that hit the key points the Rockettes team was aiming for. 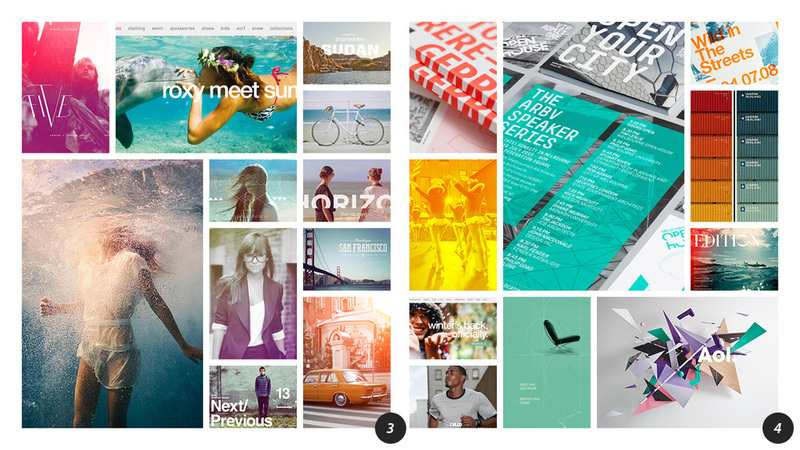 Moodboards, typography sets, color palettes, and interaction references were all gathered and presented before any pixels were pushed around in Photoshop. Once a direction had been chosen, it was then my job to apply the chosen look and feel to the new framework presented by myself and my good friend Chris Willet. I'm no stranger to curveballs, and this project certainly threw its fair share, but after many changes to the framework and appearance we were still able to help the Rockettes team understand how to reach their fans while appealing to a broader audience. Maintaining the core values that make the Rockettes who they've been, and who they are today was the number one goal, and the thinking we put behind our work certainly echoed those sentiments. Move with Passion™, ya dig?